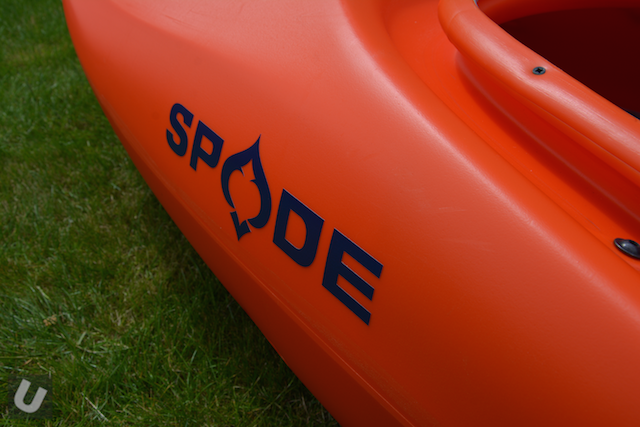 This week a freshly wrapped Ace of Spades kayak from Spade Kayaks arrived from Austria via UK distributers System X. A big thanks to Kev at Northshore Watersports for handling the delivery. There has been a few pieces of information about the Ace of Spades, including posts on this site, but there hasn’t been much in the way of detailed images. Hopefully this post will help to put this right. 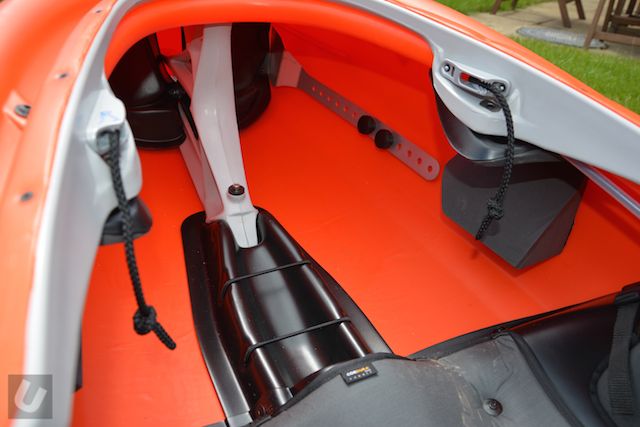 The Ace of Spades is a blown moulded displacement hull kayak. 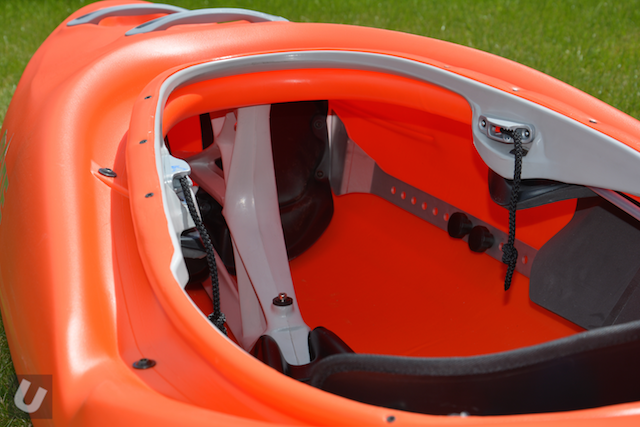 It has the features that you would expect to see in any whitewater boat – adjustable outfitting, full plate footrest, multiple grab handles, drain bung etc… but many have been executed in a creative way. 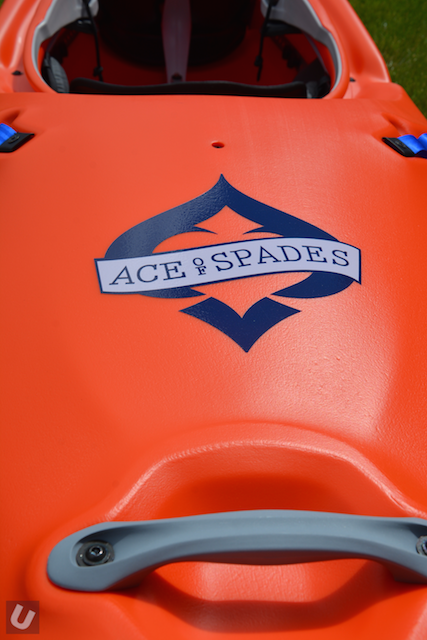 The Ace is designed as a riverrunner and is available in just the one size. The pillars is bolted to the hull at the top and seat rail/hull at the bottom using stainless steel Allen bolts. There is a fixing that is welded into the boat. Tightening this bolt too tight can pull and move the bottom of the boat. The same welded piece can be seen at the rear of the seat rail in the image below. This makes for a super stiff setup. 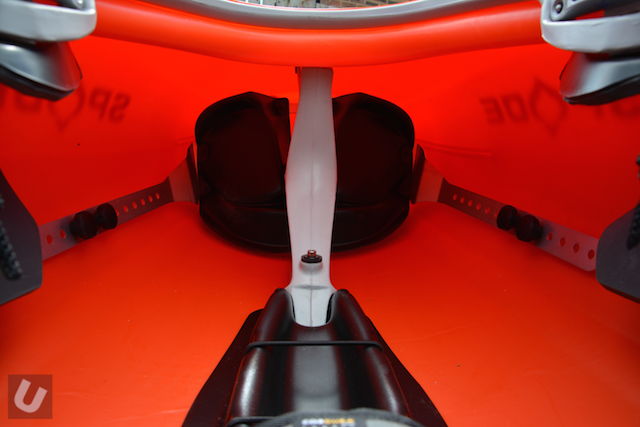 You will see in the images the the cockpit incorporates a grey plastic ring. 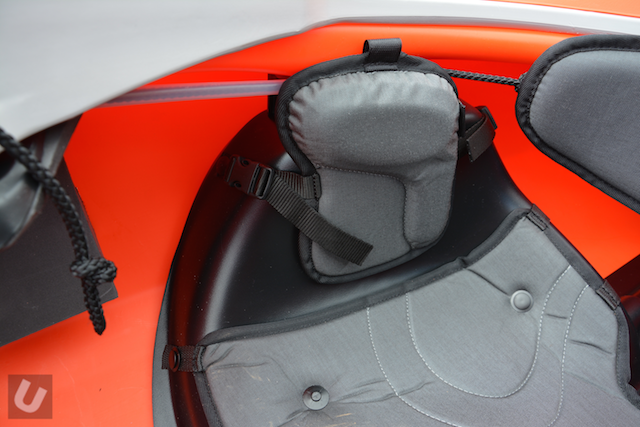 This creates a stiff setup and allows the outfitting to be bolted to the boat. Although there is a join and a whole load of fixings all will be protected from water ingress by the spray skirt. I must say it isn’t the prettiest of systems but it does its job well. On first look the hip pads don’t appear to be anything special. However on closer inspection and use they are very good. 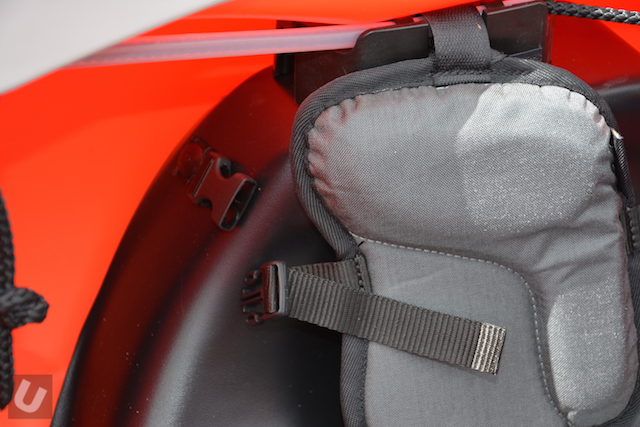 They are held in place by a combination of QR buckles and Velcro. 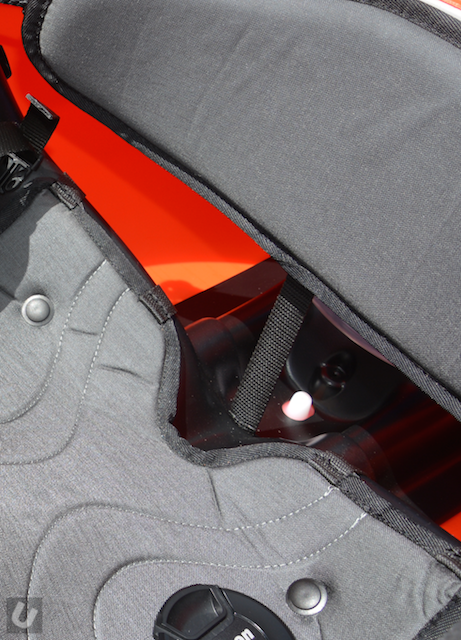 The buckles riveted to the seat via a short length of strap. 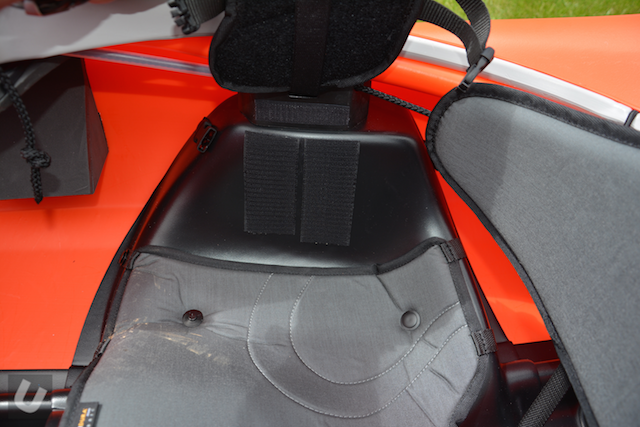 When released from the hip pad the straps and buckle stay in position. There is no risk of the strap falling behind the seat post as happens with similar systems from other manufacturers. 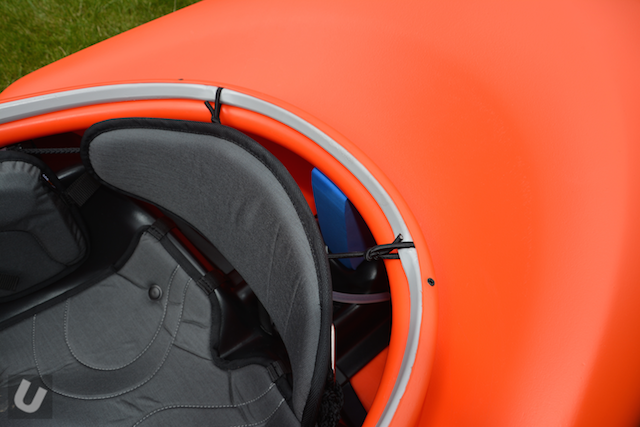 The hip pad is perfectly shaped with more padding at the rear of the pad. A simple idea that works well. If the padding were consistent across the with of the pad there is always a risk of placing too much pressure on your leg at the front edge which can result in numbness. Take this padding away but keep it where it’s need at the rear. Superb! 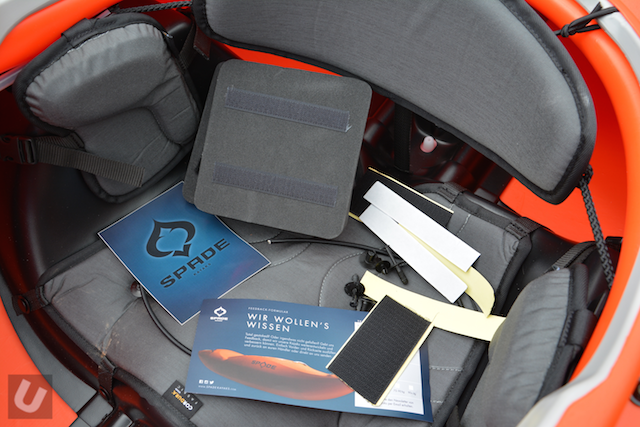 Additional shims are provided and fix between the seat and the main pad. Plenty of shims are provided in the outfitting kit. The backrest is super comfy. Plenty of support, sitting at the right height and little to go wrong. 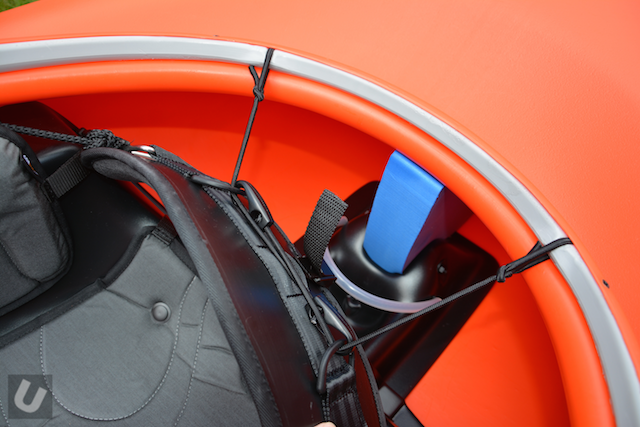 Just behind the backrest you can see the blue foam pillar and gear clip in point. 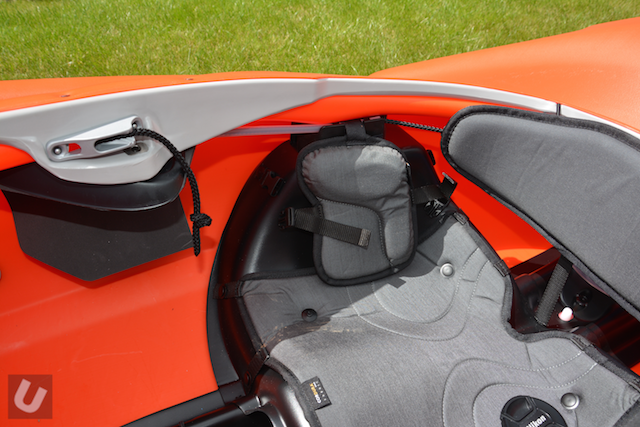 The Ace of Spades has no ratchets for backrest adjustments, but relies on a rope and cleat system. The cleats have been provided by the best manufacturer out there. 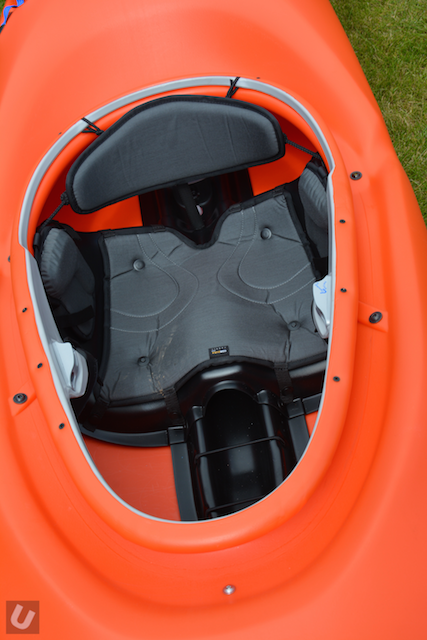 The cleats do run the opposite way to those on Jackson kayaks. The rope in this instance is pulled towards you to adjust and then lock into place. It’s simple and it works. Some will hate, some will love. Underneath the cleat is the thigh brace that also incorporates some additional foam blocks/padding. 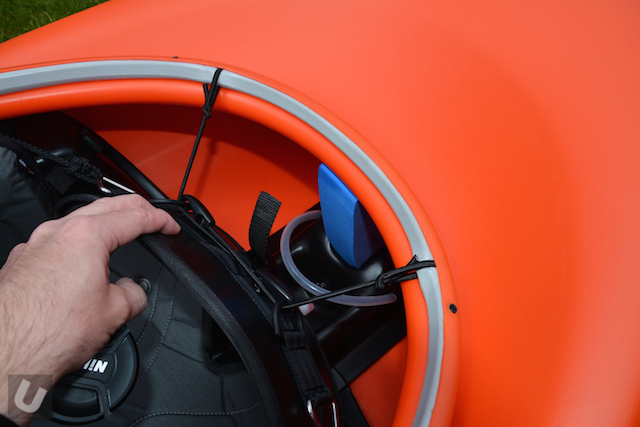 You can also see that the rope for the backrest runs through a plastic tube. Grab handles some in two flavours. Grey handles at the bow, stern and mid bow and tape based handles to the rear of the cockpit. The Ace of Spades came with an outfitting pack that included shims for the hip pads and a whole pile of spare parts. What I find very interesting is that all of key fixings that keep the boat together are pretty easy to get hold of from car part stores or chandlers. I have used the same fitting for the seat pad to fix mud-flaps to my BMW. There is nothing special that would require an order from a kayak dealer. I suspect this has been a very deliberate move. 1st lookAce Of Spades - First LookBlow mouldedCreekEskimokayakmoldedPrijonReviewriver runnerthoughtsVersusVs.